Berlin. The undermining of the smoking ban in Germany. but that is not keeping smokers from enjoying their habit. and legal civil disobedience, many bars and restaurants, many new ways to connect with the ban. Other Germans have come up with the idea of forming a club. And has transformed into a "smokers' association. Anyone who becomes a member-for about € 6-can come in the usual way and keep smoking. 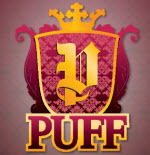 In Berlin, there is a gay bar recently added to the aptly named "Puff".